Now that you know how to make a budget and I’ve shared some tips for sticking to your budget, it’s time to talk about credit cards. Credit cards can be helpful or they can become a nightmare of debt that can drag you down. I know there are people who can use a credit card to pay for everything and then pay it off every month. Never getting in too deep. But I also know others who tend to overspend when using a credit card. When the bill comes there just isn’t enough to pay the bill. The total balance seems to climb every month or just stay the same. Never really going down, with the interest, the new charges and the small amount that is being paid on the balance. It’s a constant struggle. When we were making a good income, back when both my husband and myself were working, we used our credit card a lot. We would overspend and then not pay the full amount, even though with our income we probably could have, and the total will climb. After we purchased our first house, it was time to rein in the spending. We kept the credit card but used it less and less. We paid as much as we could and eventually we paid it off in full. Never wanting to go back to carrying a balance again. We haven’t, I think the last time we carried a balance on our credit card was well over 15 years ago. Currently, we use a credit card to pay for a few things a month and then pay if off when the bill comes. 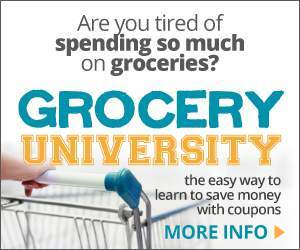 We have a budgeted amount that we allow for spending on our credit card a month. Once that amount is reached, nothing else goes on it. Some people may think it’s odd to have a budgeted amount for a credit card but it keeps our spending in check. You have to decide if using a credit card is right for you or not. If you have trouble keeping your spending under control using one, you might want to go all cash or use a debit card instead. If you like to pay using a credit card, it’s best if you keep track of everything you purchase as the month goes on. By tracking your purchases you can know when you are getting close to your budget amount and stop spending. 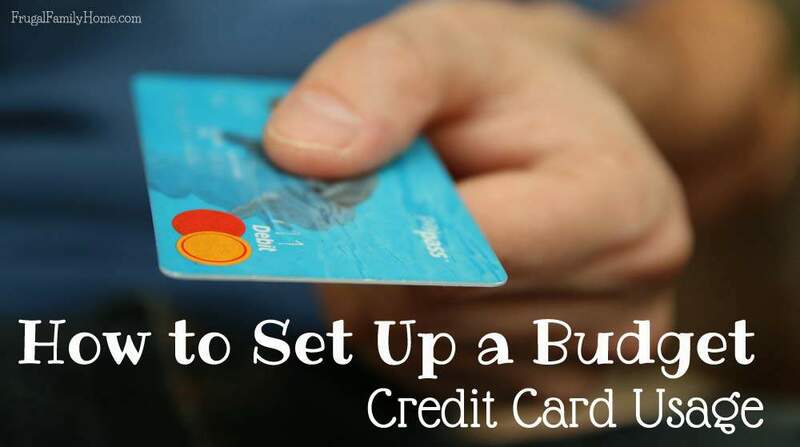 This may be hard at first, but once you are used to sticking to a budget on your credit card, you will always have the money to pay it off at the end of the month. Which is real freedom. If you are currently carrying a balance on your credit card, I would suggest not using it at all until you have the balance at zero. It is hard to pay something off, if you keep putting more on it. If you have more than one credit card then I would use the Dave Ramsey debt snowball plan. The debt snowball works this way, you pay as much as you can each month on your smallest debt, while paying the minimum payments on your other debt. Once the smallest is paid off, you will have a sense of accomplishment, and can celebrate one bill is gone forever. Then you apply the amount you were paying on the smallest debt each month to your minimum payment of your next smallest debt. This increases the amount you are paying and helps to get you out of debt faster. By sticking to this plan, you can be out of debt in no time. There will be a lot of adjusting, but in the long run you will be better off. Now you might be thinking, If I’m not going to be using my credit cards any more, what do I do if an emergency comes along. That’s what we will be talking about next time, setting up an emergency fund. Do you struggle with using a credit card and overspending? Or can you use credit cards without going overboard? I know I’ve been on both sides, just curious what you do? I love your new design! Did you do it yourself? Erin, Yes I worked on it for a couple of days and got to something I liked. I am glad you like it. I also did a facebook logo and did my “grab my button too”. I’ll put your button on my page! Shelly, I’ll need to follow your budget series closely as I’m trying to come up with ways to get some more spending money (without increasing my revenue, which is difficult). I’ve never carried a balance on my credit card, and I only use it for online purchases (maybe I’ve used it 5% of the time in real life, usually when I’m travelling). However, there are some months when I have difficulty paying it off completely. It’s so good that you have never carried a balance on your credit cards, Nicole! We use credit cards but don’t carry a balance. We know what’s going on the card and have the money already set aside for the payments. It’s a simple way of making one payment, plus the credit card rewards are a nice bonus. But, like you said, using credit cards only works if you pay them off monthly. Good series, Shelly!